The Polish people, or Poles are indigenous to Poland. They speak the Polish language, which belongs to the West Slavic languages of Central Europe. Poles are the sixth largest national group in the European Union. There are almost 39 million Poles in Poland alone. The worldwide Polish population is estimated at 60 million. About 3 percent (9.5 million) of Americans have total or partial Polish heritage (U.S. Census Bureau). There are also Polish minorities in the countries surrounding Poland including Germany, and indigenous minorities in the Czech Republic, Lithuania, Ukraine, and Belarus. There are ten data sets that have been incorporated into DNA Consultants’ method. The Polish – Northern A population data represent DNA samples from 202 unrelated European individuals living in the northern part of the officially titled Republic of Poland (Wikipedia – Poland). Samples were obtained by the Institute of Forensic Medicine at the Medical University of Gdansk in Poland. The Polish – Podlasie A population data represent DNA samples from 413 unrelated European individuals living in Podlasie, the northeastern region of the officially titled Republic of Poland (Wikipedia – Poland). Samples were obtained by the Dept. of Forensic Medicine in the Medical Academy of Bialystok, Poland; and by the Central Forensic Laboratory of Police Headquarters in Warsaw. The Polish – Southeastern population data represent DNA samples from 203 to 1188 unrelated individuals living in the area of south- east Poland. The Polish – Podlasie B population data represent DNA samples from 842 unrelated individuals living in the area of north-eastern Poland. Polish – Central represents 430 unrelated individuals born in Central Poland who were sampled in 2003 by the Medical University of Warsaw, Poland. Polish – Northern B population data was taken from 145 blood samples from adults from northern Poland and was analyzed at the University of Gdansk in 2004. Polish A population data represent 412 unrelated individuals from Pomorze Gdariskie, Wielkopolska, Kujawy, Pomorze, Zachodnie, Mazury, and Mazowsze regions of Poland who were sampled in 2003 by Russian and Polish Universities. Polish B population data represent 125 unrelated individuals at the Department of Forensic Medicine in Lodz, Poland who were sampled in 2003 by their Medical University. Polish C population data represent 870 unrelated individuals from all regions of Poland who were sampled in 2005 by the Medical university of Bialystock, Poland. Polish D population data represent DNA samples from 206 randomly selected individuals from Poland. STR frequencies were reported in the most recent European database release of the Working Group of the European Network of Forensic Institutes STRbase Project (Frequencies). “Poland today is ethnically almost homogeneous (98% Polish), in contrast with the World War II period, when there were significant ethnic minorities–4.5 million Ukrainians, 3 million Jews, 1 million Belarusians, and 800,000 Germans. The majority of the Jews were murdered during the German occupation in World War II, and many others emigrated in the succeeding years. 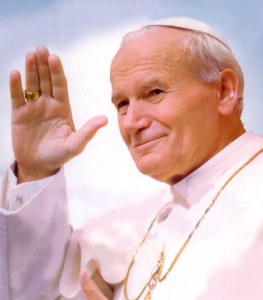 Photo 1: Pope John Paul II was born Karol Józef Wojtyła on May 18, 1920 in Wadowice. Photo 2: Polish model Anja Rubik by Ed Kavishe, Fashion Wire Press. Polish- Northern A (Population 125): Forensic Validation of a Multiplex Containing Nine STRs – Population Genetics in Northern Poland, IJLM, 2000, p45-49. Polish- Podlasie A (Population 136): Population Genetics of 15 STR Loci in the Population of Podlasie (NE Poland), FSI, 2001, p226-227. Polish- Southeastern (Population 207): Population Genetics of 19 STR Loci in south- east Poland, FSI, 2004, 139, p89-92. Polish- Podlasie B (Population 213): Population Genetics for the CODIS Core STR Loci in the Population of Northeastern Poland, JFS, 2003, p1197-1198. Polish- Central (Population 229): STR data for the power plex-16 loci in a population from Central Poland, FSI, 2004, 139, p261-263. Polish- Northern B (Population 242): Northern Polish population data and forensic usefulness of 15 autosomal STR loci, FSI, 2004, 144, p69-71. Polish A (Population 280): Genetic variation of 15 STR loci (D3S1358, vWA, FGA, TH01, TPOX, CSF1PO, D5S818, D13S317, D7S820, D16S539, D2S1338, D8S1179, D21S11, D18S51, and D19S433) in populations of north and central Poland, FSI, 2005, 147, 97-100. Polish B (population 282): Population genetics of the Identifiler system in Poland, Progress in Forensic Genetics 10, 2004, p229-232. Polish C (population 291): Genetic variation of STR loci D3S1358, TH01, D21S11, D18S51, Penta E, D5S818, D13S317, D7S820, D16S539, CSF1PO, Penta D, vWA, D8S1179, TPOX and FGA by GenePrint PowerPlex 16 in a Polish population, 2006, 159, p241-243. Polish D (population 443): ENFSI DNA WG STR Population Database v. 2. (strbase.org).